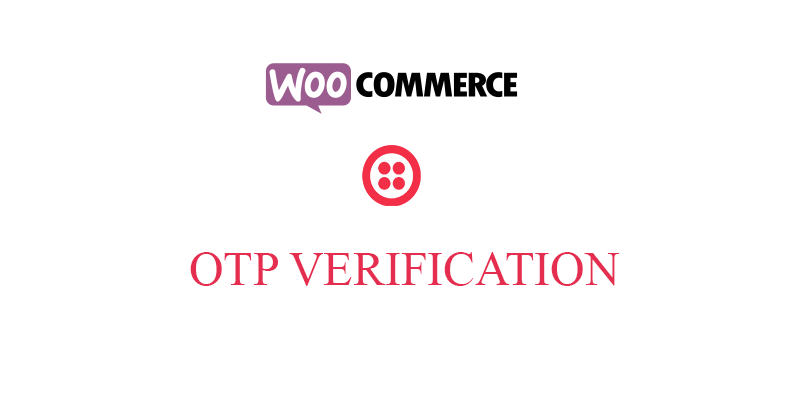 Twilio is cloud communications platform for building SMS andVoice on an API built for global scale.Here we use the Authy Phone Verification API allows you to verify that the customer has the device in their possession. The Authy Phone Verification API lets you request a verification code sent to the customer through the SMS or CALL based on the settings and also verify that the code received by the customer is valid. The REST API is designed to use HTTP response codes to indicate status. 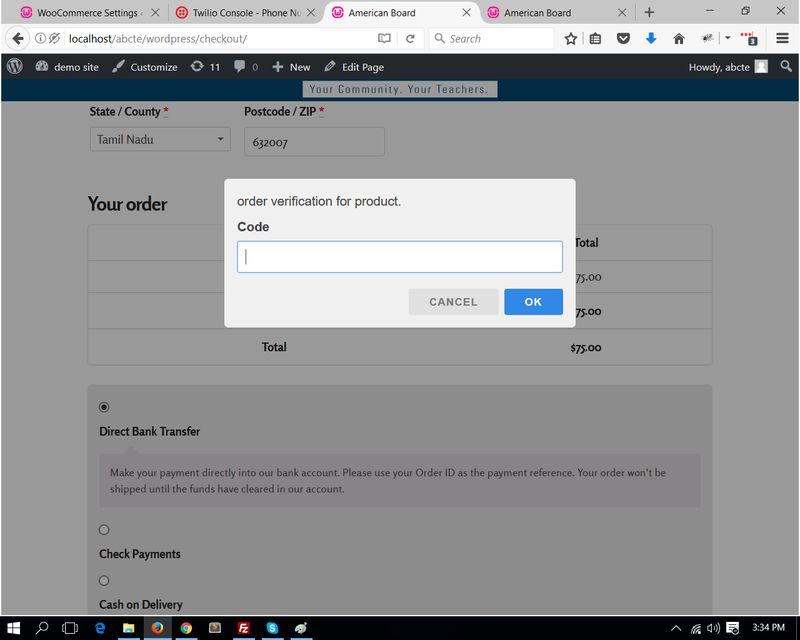 The body of the response will also include more information.When you want to verify a customer phone you start by requesting a verification code for that customer phone number.The verification code is valid for 10 minutes. 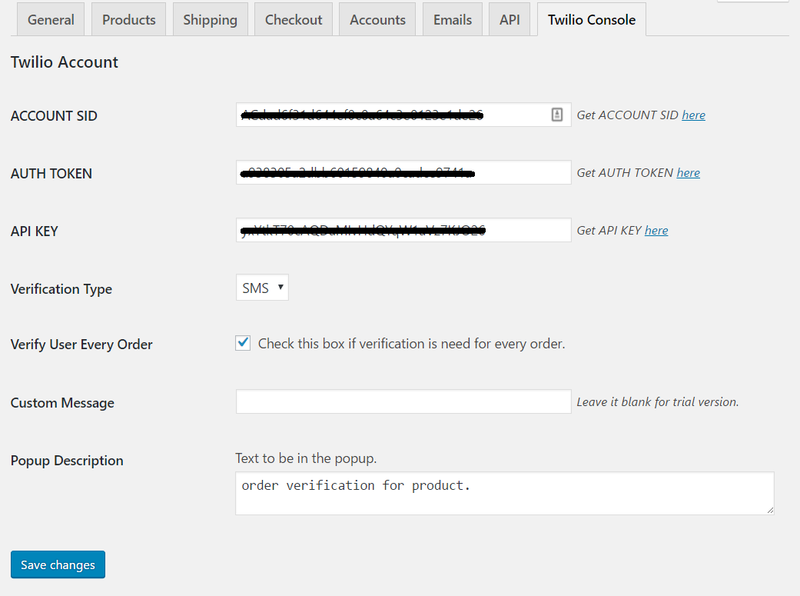 Subsequent calls to the API within the expiration time will send the same verification code. After activating the plugin then you see the following picture. 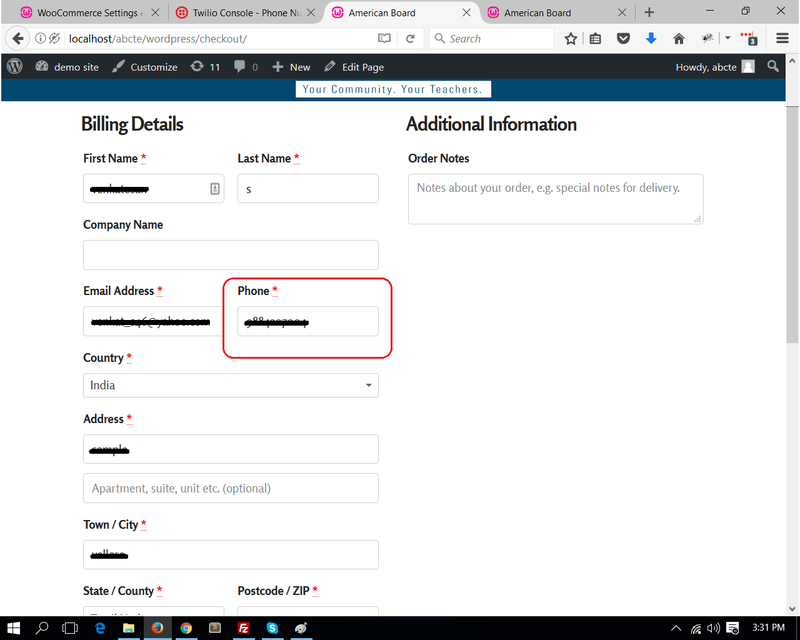 Visit your shop click add to cart button then visit cart click the proceed to check out button.The following picture in red marked field is use the available mobile number should be fill. After fill the required fields then click the proceed button you can see the following picture. To fill the correct OTP then the order will be placed other wise it will not place the order.